Enable User Consent Storage needs to be set to True for the Introspection to work. 1. 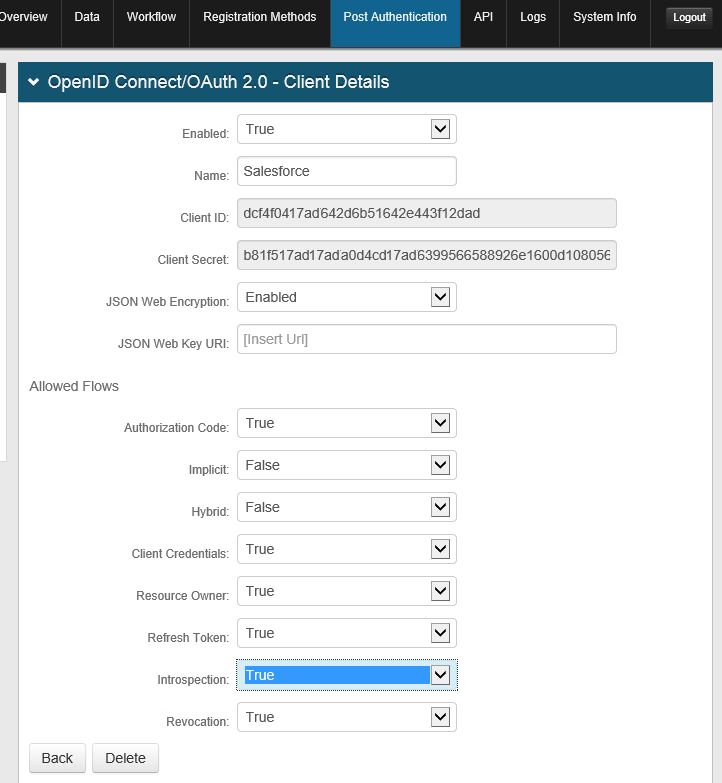 Open the SecureAuth Admin Console.